Students often say, "I studied 40 hours for this exam and I still didn't do well. Where did I go wrong?" Most instructors hear this complaint every year. In many cases, it is true that the student invested countless hours, only to produce abysmal results. Often, inefficient study habits are to blame. The important question is: why do so many students have difficulty preparing themselves for organic chemistry exams? There are certainly several factors at play here, but perhaps the most dominant factor is a fundamental disconnect between what students learn and the tasks expected of them. 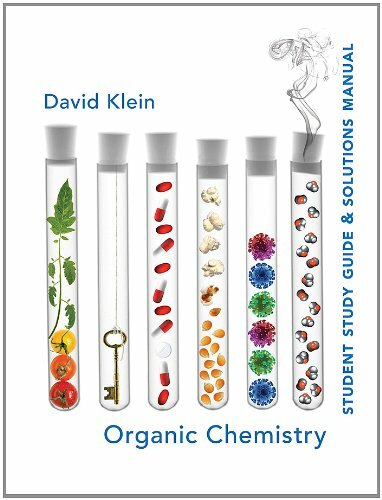 To address the disconnect in organic chemistry instruction, David Klein has developed a textbook that utilizes a skills-based approach to instruction. The textbook includes all of the concepts typically covered in an organic chemistry textbook, but special emphasis is placed on skills development to support these concepts. This emphasis upon skills development will provide students with a greater opportunity to develop proficiency in the key skills necessary to succeed in organic chemistry. As an example, resonance structures are used repeatedly throughout the course, and students must become masters of resonance structures early in the course. Therefore, a significant portion of chapter 1 is devoted to drawing resonance structures. Two chapters (6 and 12) are devoted almost entirely to skill development. Chapter 6 emphasizes skills that are necessary for drawing mechanisms, while chapter 12 prepares the student for proposing syntheses. 3. Apply the Skill: one or two more-challenging problems in which the student must apply the skill in a slightly different environment. These problems include conceptual, cumulative, and applied problems that encourage students to think out of the box. Sometimes problems that foreshadow concepts introduced in later chapters are also included. All SkillBuilders are visually summarized at the end of each chapter (Skillbuilder review), followed by a list of suggested in-chapter and end-of-chapter practice problems. How does your method of teaching Organic Chemistry differ from other approaches and other texts? Current organic chemistry textbooks provide students with extensive coverage of reactions and the principles that govern those reactions. But it is often expected that students will independently develop the necessary skills for solving problems. Organic chemistry is much like bicycle riding. It requires constant practice of very specific skills. In order to ace an organic chemistry exam, students must certainly understand the reactions and principles, but more importantly, students must learn to become proficient at approaching new situations methodically, based on a repertoire of skills. To address this need, I have developed a textbook that utilizes a skills-based approach. My textbook includes all concepts typically covered in an organic chemistry textbook, but special emphasis is placed on skills development to support those concepts. This emphasis provides students with a greater opportunity to develop proficiency in the key skills necessary to succeed in organic chemistry. Your previous supplement titles (Organic Chemistry I & II as a Second Language) have been well received. How does that make you feel and how did that inspire you to write your own Organic Chemistry textbook? When I wrote my first supplement, Organic Chemistry as a Second Language, I wasn’t sure if it would resonate in the market. So you can imagine how excited I was from the wonderful student responses and the large adoption list. I was so thrilled to read the great reviews posted by students on Amazon.com. It really meant a lot to me that they took the time to write such wonderful comments. It was also so gratifying to receive unsolicited emails from students and instructors across the country, expressing appreciation for my books. It meant so much to me because I understand that people are busy and it means a lot that they invested the time to reach out to me. It makes me feel GREAT to know that my approach has made such a positive impact. How did you become interested in Organic Chemistry? As an undergraduate student, I did not declare a major in my freshman year, but in my sophomore year, I had the fortune of taking an organic chemistry class from a truly gifted instructor, Professor Lawrence Principe. He made organic chemistry fun and interesting for me, and he inspired me to follow in his footsteps and teach organic chemistry. I believe that every corner of this universe is fascinating, if you have the right teacher who can show you how fascinating it is. If you think about, you will probably find that the subjects that you enjoy are the subjects for which you had a good teacher. And the subjects you dislike are the subjects for which you had a bad teacher. In short, teachers have a profound impact on their students, and it has always been my goal to inspire my students the way my mentor inspired me. What do you see as the future of Organic Chemistry? Are there any exciting developments on the way? Organic chemistry occupies a central role in the world around us, as we are surrounded by organic compounds. The food that we eat and the clothes that we wear are comprised of organic compounds. Our ability to smell odors or see colors results from the behavior of organic compounds. Pharmaceuticals, pesticides, paints, adhesives, and plastics are all made from organic compounds. In fact, our bodies are constructed mostly from organic compounds (DNA, RNA, proteins, etc.) whose behavior and function are determined by the guiding principles of organic chemistry. The responses of our bodies to pharmaceuticals are the results of reactions guided by the principles of organic chemistry. A deep understanding of those principles enables the design of new drugs that fight disease and improve the overall quality of life and longevity. As time marches forward, we can expect to see great developments and achievements in all of these exciting fields. How many boards have you broken at one time in your Tae Kwon Do classes? For my black belt test, I had to break three boards with my fist, three with a side kick, and three more with an elbow. I was given a total of three seconds during which time I had to break all nine boards, and it was exhilarating! David Klein is a lecturer at Johns Hopkins University where he teaches Organic and General Chemistry. He is a dynamic and creative teacher and uses analogy to help students grasp difficult topics. Klein’s unique informal voice and manner of presentation help students truly master key topics in this course. He is also the author of Organic Chemistry as a Second Language and General Chemistry as a Second Language, which have both been highly successful.